The mission of the Canadian Sheep Federation is to represent the interests of Canadian sheep producers, through the member organizations, and provide leadership to the industry aimed at furthering the viability, growth and prosperity of the Canadian sheep and wool industry. 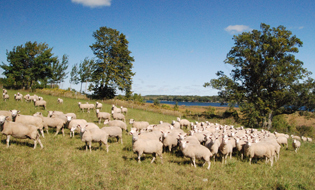 The Canadian Sheep Federation (CSF) represents producers nationally through its Board of Directors, made up of representatives from provincial sheep associations and Affiliate Members. Likewise, the CSF partners with national organizations and members of the industry value chain on key industry issues. 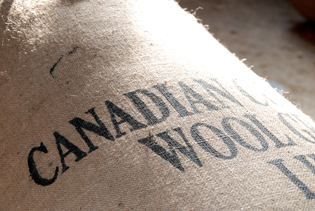 Our mission is to further the viability, expansion and prosperity of the Canadian sheep and wool industries. 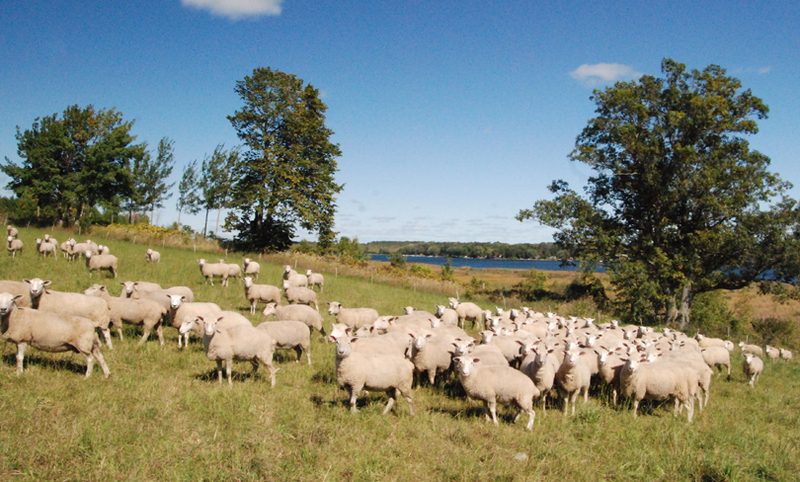 The Canadian Sheep Federation (CSF) and the Canadian sheep industry at large are facing an exciting time in the evolution of the sheep value chain. Huge opportunities exist today to grow markets, increase value for all stakeholders, and secure the prosperity of the industry for the future. Access to and use of the Canadian Sheep Federation website is provided subject to the following terms and conditions. Please read these terms carefully as use of this website constitutes acceptance of the terms and conditions. If you do not agree to these terms and conditions do not access the website or download any contents. The information, text, photographs, software, animation files, graphics, video and audio files, products and other materials (collectively "Contents") contained on this Web site are owned by the Canadian Sheep Federation and are protected by domestic and international copyright laws. Except as specifically permitted herein, no portion of the Contents of this Web site may be reproduced in any form or by any means without the prior written consent from the Canadian Sheep Federation. The Canadian Sheep Federation reserves the right to require that you delete, destroy or otherwise remove any Contents that is used in a manner that in the Canadian Sheep Federation's opinion is contrary to, or otherwise inappropriate, derogatory or offensive. For your convenience the Canadian Sheep Federation may include links to Web sites that are owned or operated by third parties. By accessing such third-party site, you understand that it is independent from the Canadian Sheep Federation, and the Canadian Sheep Federation has no control over the content of that site and cannot assume any responsibility for materials created or published by such third-party sites. In addition, a link to a third-party's site does not imply that the Canadian Sheep Federation endorses the site, the information or the content of such Web site. It is your responsibility to ensure that you review and agree to the terms and conditions applicable to such Web site before using it. The Canadian Sheep Federation is not responsible for webcasting or any other form of transmission received from any linked website. The trade-marks and logos displayed on this Web site are the property of the Canadian Sheep Federation or other third parties. You are not permitted to use the trade-marks displayed on the Web site without the prior written consent of the Canadian Sheep Federation or such third party which may own the trade-marks. This website and the "Contents" herein are provided on "as is" and "as available" basis and the Canadian Sheep Federation does NOT warrant that the use of this website will be uninterrupted, error-free, stable or suitable. The Canadian Sheep Federation makes no warranties of any kind, either express or implied about the websites availability or its operation, including without limiting the generality of the foregoing, warranties of merchant ability, fitness for a particular purpose, non-infringement or those arising bylaw, statute, usage of trade or course of dealing. Information on this website could include technical or other inaccuracies or typographical errors. The Canadian Sheep Federation may make improvements and/or changes in the Contents described in this website at any time. In no event, in regard to this website or any other third party linked website will the Canadian Sheep Federation be liable to any party for any special incidental, direct, indirect or consequential damages of any kind or damages whatsoever including without limitation those resulting from any failure of performance, error, omission, loss profits, business interruption and loss of data, whether or not advised of the possibility of damage. You agree to defend, indemnify and hold the Canadian Sheep Federation harmless from any and all liabilities, costs and expenses including reasonable attorney's fees, related to any violation of these terms and conditions by you or in connection with the use of this Website or the placement or transmission of any information or Contents on this Website by you. This Website (excluding linked sites) is controlled by the Canadian Sheep Federation By accessing this Website you and the Canadian Sheep Federation agree that all matters relating to your access to, or use of, this Website shall be governed by the statutes and laws of Canada. The Canadian Sheep Federation makes no representation that Contents of this Website are appropriate or available for use in other locations. Those who choose to access this site from other locations do so on their own initiative and are responsible for compliance with local laws. If, for any reason whatsoever, any terms and conditions of this "Legal Notice, Disclaimer, and Term of Use" are deemed by a court to be void, voidable or otherwise unenforceable, such determination shall not affect the remaining provisions hereof. The Canadian Sheep Federation reserves the right to change or remove any Contents from the Website, in whole or in part, at its sole discretion, at any time, without notice. The Canadian Sheep Federation's failure to insist upon or to enforce strict performance of any provision of these terms and conditions or of the Privacy & Security Policy shall not be construed as a waiver of any provision or right. Privacy and Confidential Information The Canadian Sheep Federation is pleased to hear from you and welcomes your comments. However, unless otherwise explicitly stated herein or in the Privacy & Security Policy by submitting information or material of any kind to any of our servers you agree that such information or material (i) will NOT be deemed confidential, (ii) will NOT contain any item that is unlawful or otherwise unfit and (iii) that you own the material or have the right to provide it to us and that its use by the Canadian Sheep Federation does NOT violate the intellectual property or other rights of any third parties. Furthermore, by submitting information or material, you give the Canadian Sheep Federation an unrestricted, perpetual, world wide, royalty-free, irrevocable license to use, reproduce, display, perform, modify, transmit, create derivative works from, and distribute the materials or information for any purpose without liability. The Canadian Sheep Federation Privacy & Security Policy is a binding part of these terms and conditions. You agree not to take action against the Canadian Sheep Federation in relation to the information or materials that you submit and you agree to indemnify the Canadian Sheep Federation if any third party takes action in relation to such information or materials. 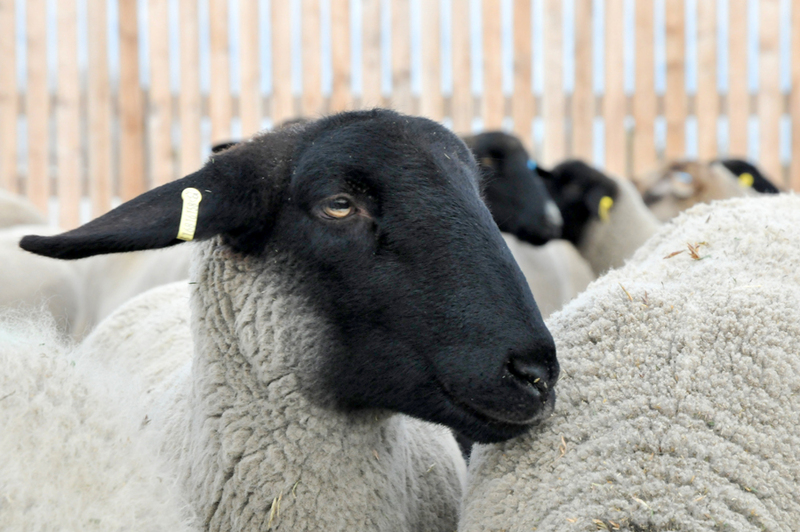 CSF plays a central role in coordinating efforts to make this happen, including resources like this website that are intended to help existing lamb producers and new entrants find the information and contacts they need to grow and prosper. If you don’t find what you’re looking for please contact the CSF office. Copyright © 2018 Canadian Sheep Federation. All Rights Reserved.